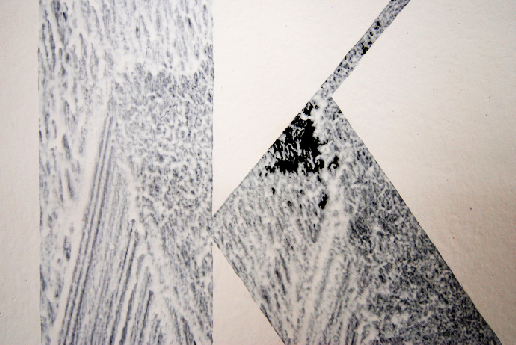 Installation as part of Group Exhibition, Unexpected twists at KUNSTPAVILLON, Innsbruck, Austria and at rotor. Graz, 2010 / 2011. Painted letters with black, overpainted with white decorating paint, 4×1.2m. 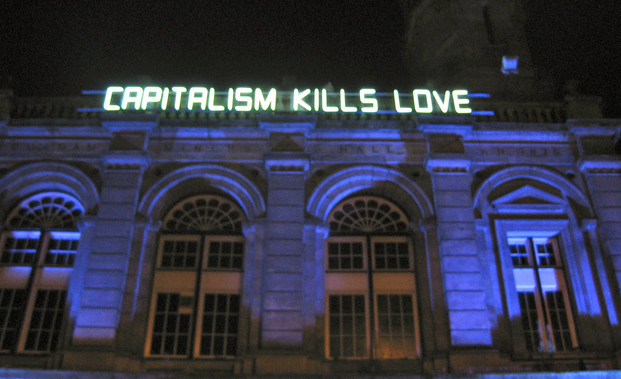 This work refers to the famous art project ‘Capitalism Kills Love’. 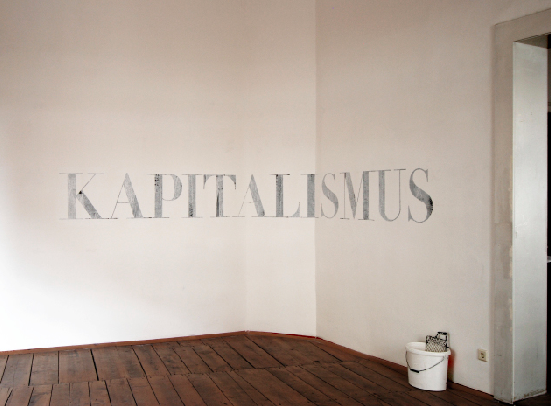 By following the disintegration of the Capitalist socio-economic and political system in recent years, this project aims to suggest, or confirm, that the Capitalist system no longer exists in the manner known to us up until this point. 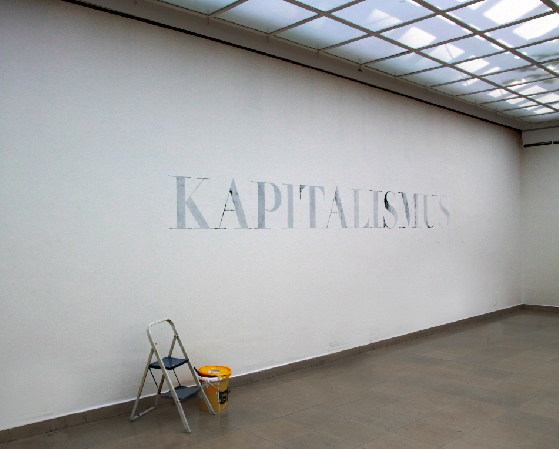 The black painted letters ‘Kapitalismus’ (‘Capitalism’, in German) on the wall, are being ‘painted over’ with a thin layer of wall paint. 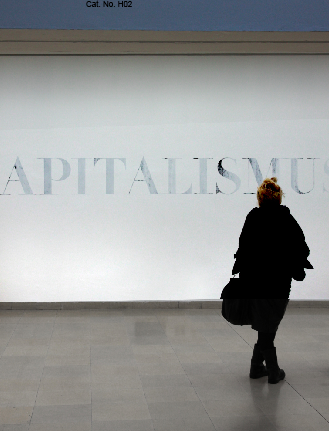 As Simone Sheikh would say (talking about a group of people who were asked, in a 2003 video installation by Katya Sander, to describe ‘What is Capitalism?’) – ‘… Ranging from the technical to the suspicious, the critical and the ideological, what they all have in common is a certain difficulty in describing capitalism precisely. They share a certain sense of disarticulation – capitalism is intimately known, it is all around, taken for granted and almost common sense, but hard to pinpoint exactly as an economic or ideological system….’. This observation states that there is no longer a clear vision, or a system that will / should be followed.